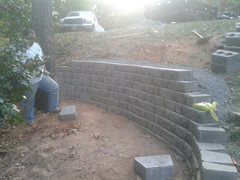 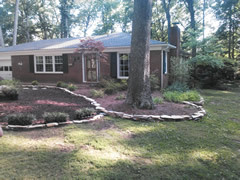 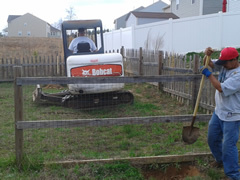 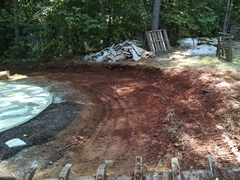 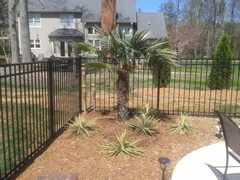 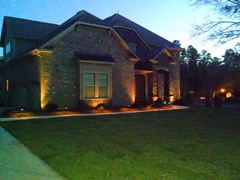 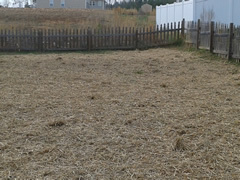 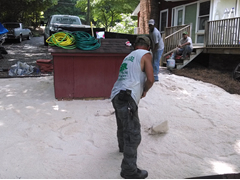 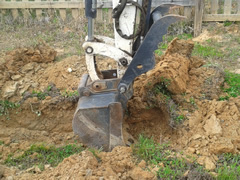 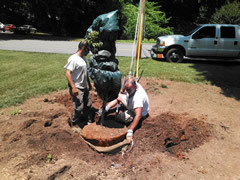 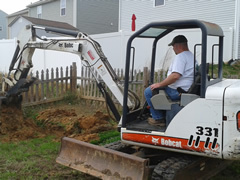 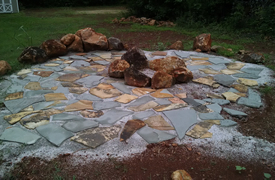 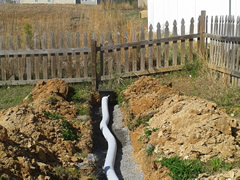 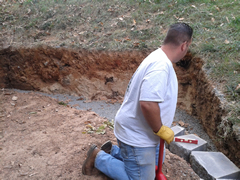 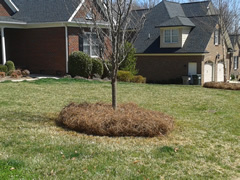 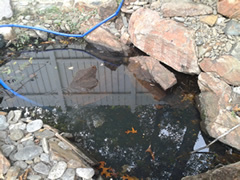 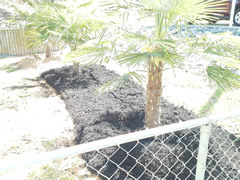 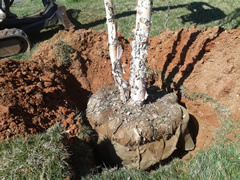 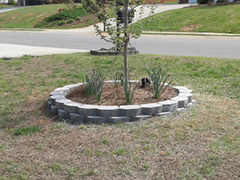 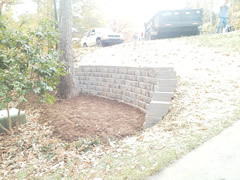 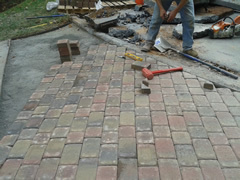 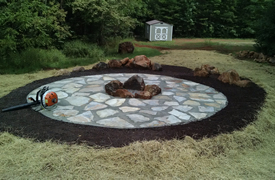 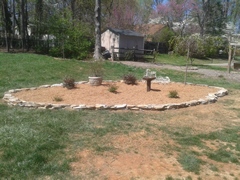 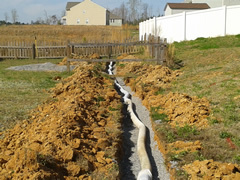 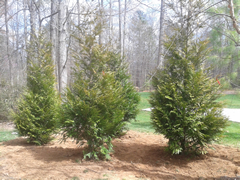 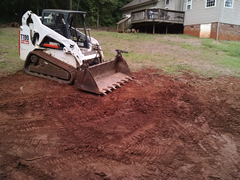 Landscaping – A Plus Lawn and Landscaping – Gastonia N.C.
Below are some examples of issues homeowners have contracted us to come in and redo. 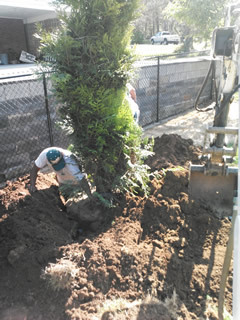 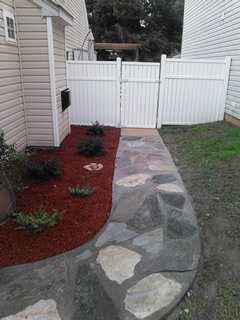 Other photos of our work and improvements. 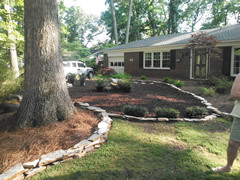 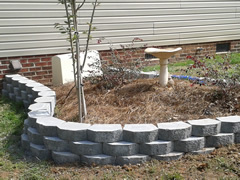 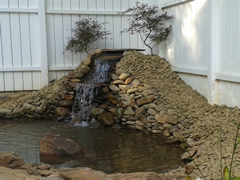 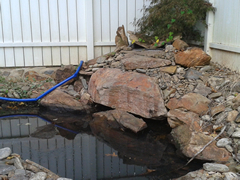 I hired A+ Lawn Care & Landscaping, Inc. to construct a pond for my husband and I at the back of our patio which A+ completed for us about a year ago. 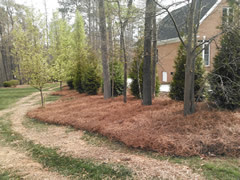 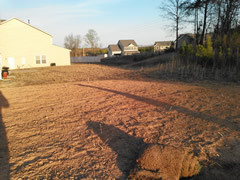 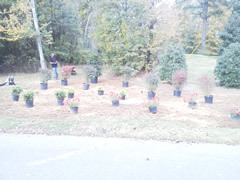 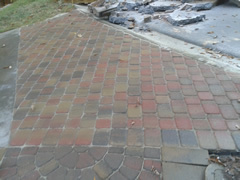 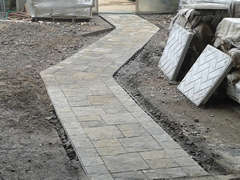 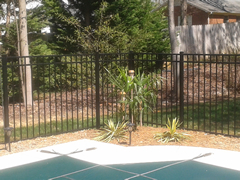 They did a wonderful job and took great care to provide minimal disturbance to out existing landscape. 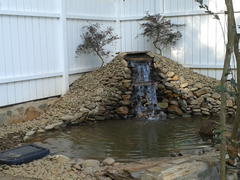 The work was completed on time and they even installed underwater lights so we can see our beautiful Koi at night that we purchased from them as well. 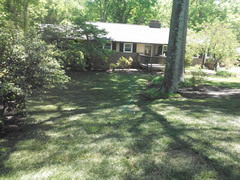 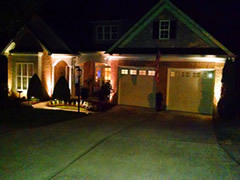 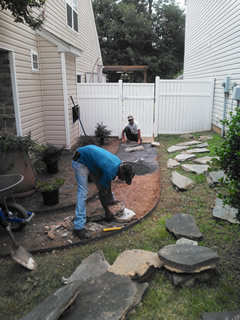 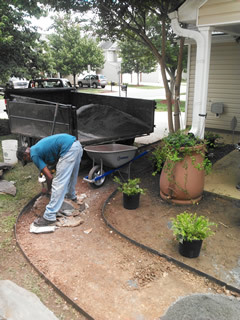 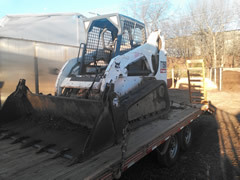 I have been using the Maintenance Division from A+ Lawn Care & Landscaping, Inc. for over 8 years now. 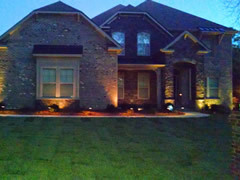 It is so nice to come home from work and to not have to worry about maintaining my yard. 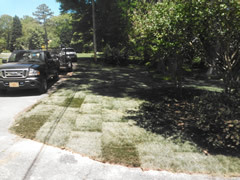 I have the freedom to play golf and fish at my leisure, instead of spending countless hours in the blistering heat to maintain my lawn. 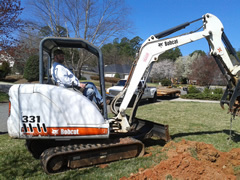 Their services are invaluable to me and they come at a price that is VERY reasonable. 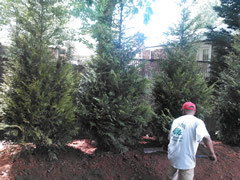 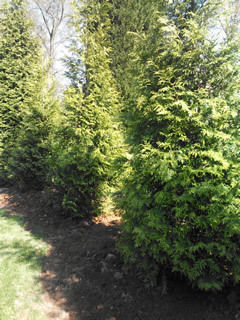 I had A+ come and cut down two trees and trim my shrubs. 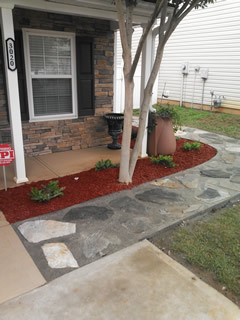 They did an awesome job and very professional! 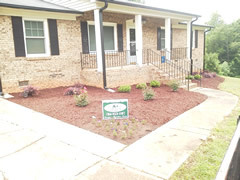 A+ Lawn Care, Inc. & A+ Landscaping, Inc.